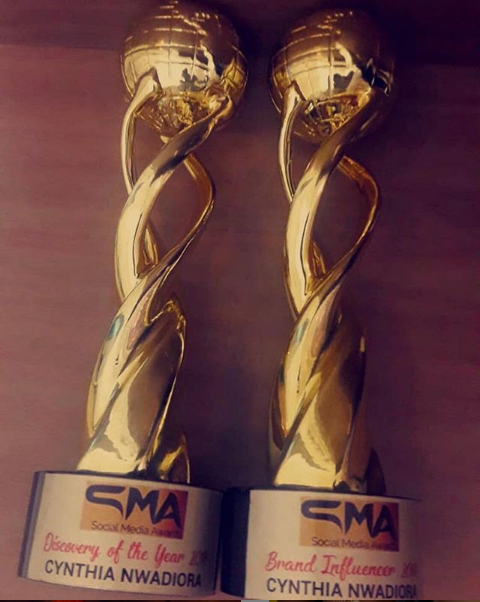 Cee C Won Double in 2018 Social Media Award (PHOTO). Cee-C who is the most popular and talked about housemate after a good run at the 2018 big brother naija is making name for herself and travelling all spears of life, the most recent one is the Dubai tour for the One Africa Music Fest where she banged double for the 2018 social media award away from the show. (Discovery of the year 2018 & Brand Influencer 2018). The former big brother naija 2018 housemate, Cee-C is on a progressive path since the end of the 2018 big brother naija reality TV show with lots of endorsement from home and abroad, which has made her stand out amongst other big brother naija housemates. Cee-C couldn’t make the award night, but she sincerely wrote in appreciation to the organizers, fans and her followers. “Super humbled and grateful for this. Thank you so much to @socialmediaawardsng for even considering me. I am so sorry I couldn’t be there. But most importantly, thank you to my amazing Spartans for always going above and beyond for me . I love you all so much!